Fall down the rabbit hole and discover a tea party beyond your wildest imagination. Inspired by Alice in Wonderland, expect to meet plenty of familiar characters and recall childhood tales along the way. Starting with delicious savoury bites on offer from Smoked Salmon Scotch Quail Eggs to melt-in-your-mouth King of Hearts Ham and Parmesan Croque-Monsieur, indulge in afternoon tea classics with a twist before moving onto the main event. Come face to face with the Queen of Hearts Rose and Strawberry Jammy Dodger before enjoying the Mocha Chessboard Gateau and with Mad March Hare’s Vanilla Pocket Watch Macaroon, there’s no excuse not to be late for this important date! 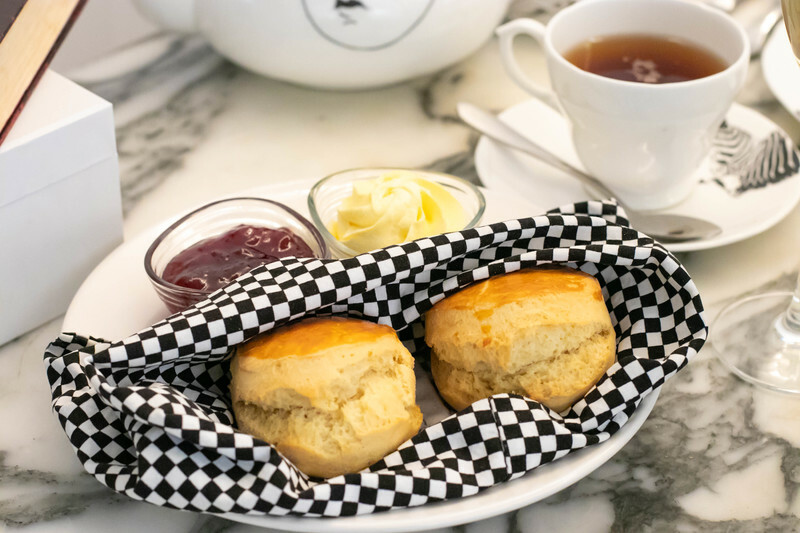 Then wash everything down with Alice’s Exotic fruits "Drink Me" potion and for the afternoon tea traditionalist, finish up with warm scones layered in cream and fruit preserve. 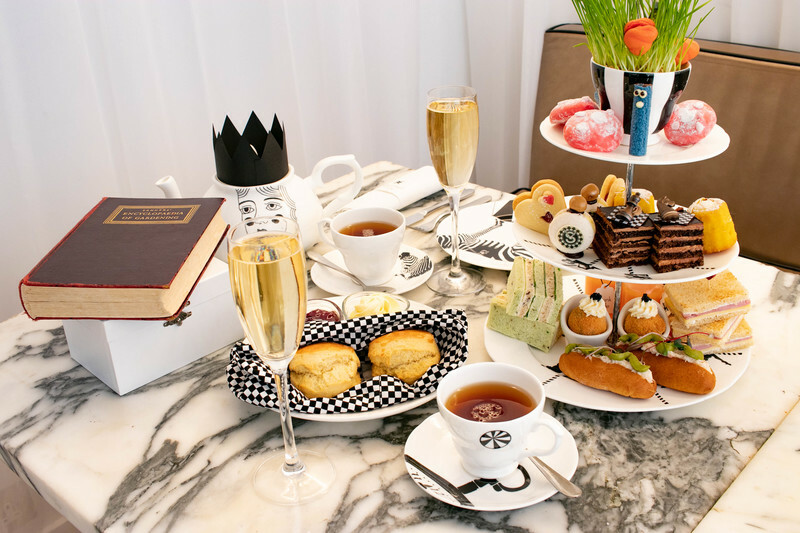 Our Mad Hatters Afternoon Tea is perfectly paired with our Alice-inspired tea infusions that are full of flavour and sure to make your experience down the rabbit hole, one you’ll never forget. We also have vegan, gluten free and dairy free menus available. Please let us know if you have any dietry requirements. 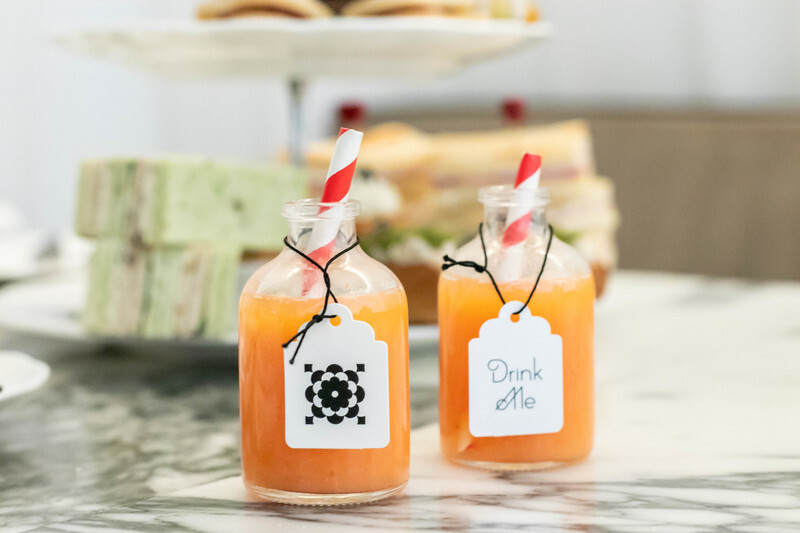 Our Mad Hatters Afternoon Tea is served in The Restaurant at Sanderson and is priced from £48 per person and £35 per child (for children 4-11 years old).